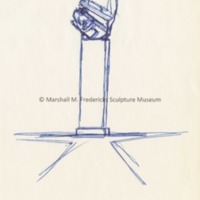 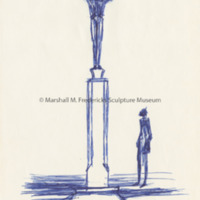 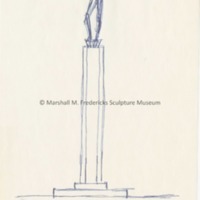 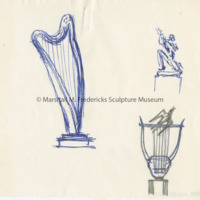 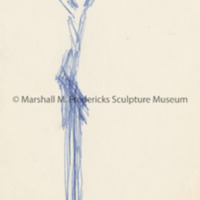 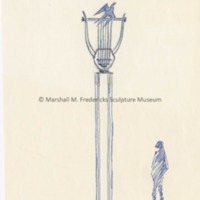 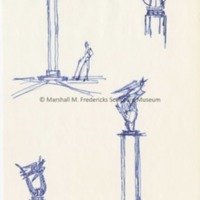 Sketch for unidentified sculpture, possibly for "Monument of Musical Composers". 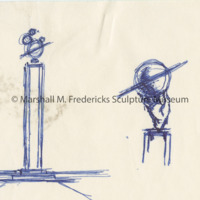 Possibly unrealized. 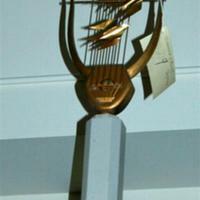 Gold lyre with three birds flying from strings on multilevel octagonal wood base. 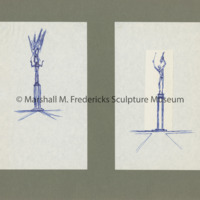 This is a model for a sculpture that might have never been realized.